This is a zombie book like I have never read before. When anyone dies they either become The Woken, senseless killing machines, which make up 99% of the dead or The Chosen, that have retained their human side, remembering their lives and still have emotions. They become functioning members of society. 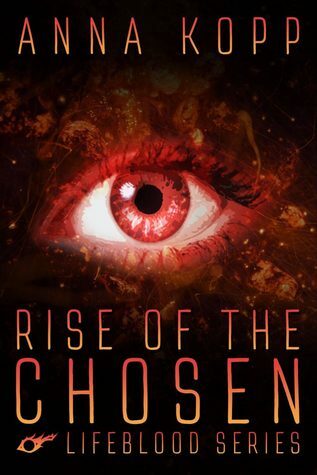 Between The Chosen and the living they battle to kill The Woken as soon as they turn. Not everything is as it first appears though. This is a super Y.A. Dystopian Fantasy, not a very long book but it has lots packed into it. After losing her parents it soon becomes clear that Sam is no ordinary girl. The story is really fascinating with plenty of action in it besides some really tender moments. It really has a lot of promise for the next book with a few loose ends and a very interesting finish to this book. Very intriguing. This is book one in the series. I am a writer from Ohio, though I was born and raised in Russia. As a child, reading and writing for me was basically like breathing. My parents’ idea of “grounding” me was kicking me outside to play. That passion hasn’t waned even after having to learn a new language. I’m a US Army veteran, a wife and business partner to a software developer, and a mom to two rambunctious boys. I love reading, writing, and playing World of Warcraft. I’m a true geek at heart and would love nothing more than to see my imagination become a part of something greater.